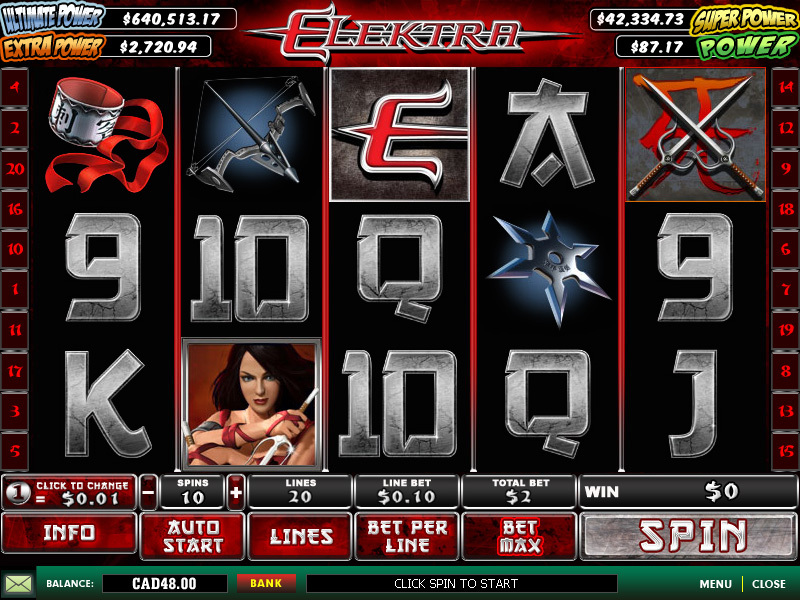 Elektra™ is another Marvel™ online slot found at Playtech casinos. 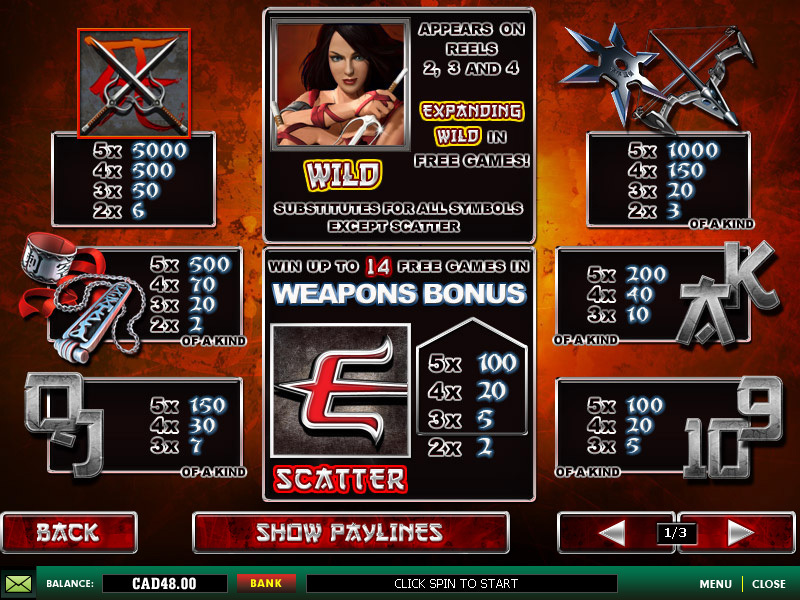 It features 20 paylines, a wild symbol appearing on the middle three reels, and a free spins bonus feature with expanding wilds. 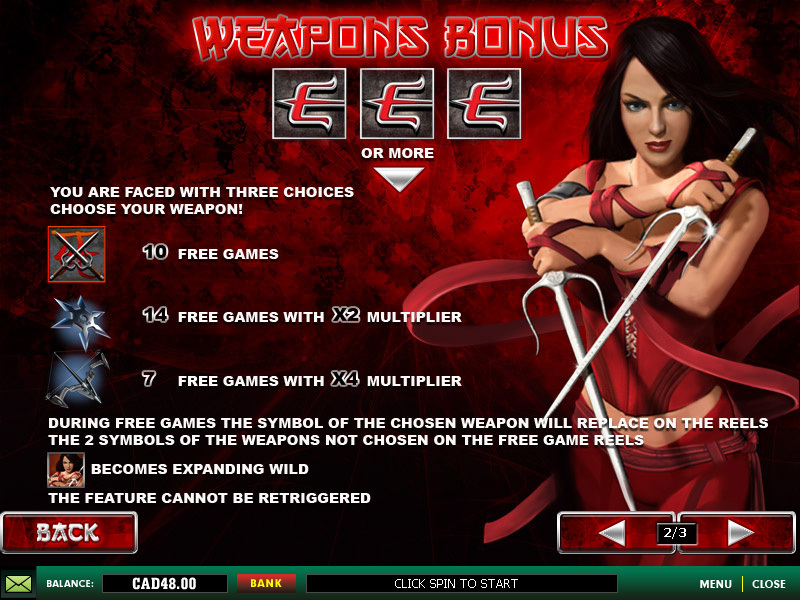 Win one of the four Marvel progressive jackpots while playing this game, the jackpot game is triggered randomly. Free spins are triggered when 3 or more scatter symbols land on the reels during a spin. You are faced a choice of three weapons, choose one to reveal your prize. 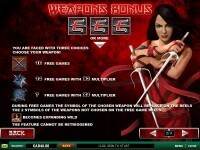 You could win 10 free spins, 14 free spins at x2, or 7 free spins at x4. The symbol that you choose replaces the other two symbols during free spins, and the wild expands to fill the reels that it lands on. Free spins cannot be retriggered. I find that it is tough to hit free spins on this game, but when it does you can hit some big wins. The Marvel progressive jackpot game can be triggered on the completion of any spin with any bet size, it features four levels of jackpots, and you are guaranteed to win one of them upon entering the jackpot bonus round. You are taken to a screen with a scratch card consisting of 20 squares, scratch one a time to reveal symbols. Match three symbols and win the progressive jackpot corresponding to that symbol. 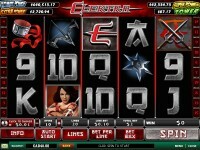 Play Elektra now at any of the great Playtech casinos.